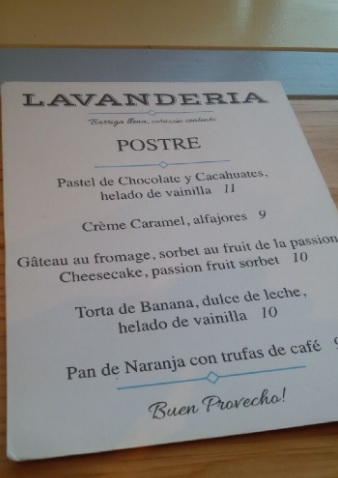 Lavenderia is the Argentine style bistrot of Antonio Park. 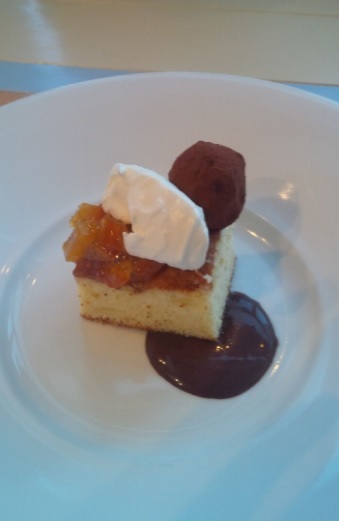 I am a long time fan of Antonio and do have fond memories of some of his best dishes. A simple scallop bathed in a dashi-based bouillon was a world class highlight of a meal at his (other) restaurant Park. It sounds line nothing special, but plenty of very ambitious Chefs around the world have hard time pulling off the sort of texture and dazzling taste that scallop boasted .Not every dish, during that meal, did dazzle, and the meal ended on uninspired notes in comparison to its spectacular beginning , but the scallop proved that when Antonio is in his prime, he can be counted among the very best cooks of this city. Recently, he opened an Argentinian inspired bistrot in Westmount. What followed were impressive reviews from local food journalists: the critic from Le Journal de Montreal raving about an exceptional parrillada completa (assortment of grilled items) , the critic of the Gazette showering the place with ratings as high as her ratings of the better Chefs of this city (Lenglet, De Montigny), the critic of La Presse was not impressed by the service (actually the highlight of my visit, btw) but floored by the originality of the menu (sorry, but grilled meats,ceviche, tamal, empanada nah…that is not that original. That is normal Latin American food). Fortunately, for us living in North America, Argentinian food is not a mistery. 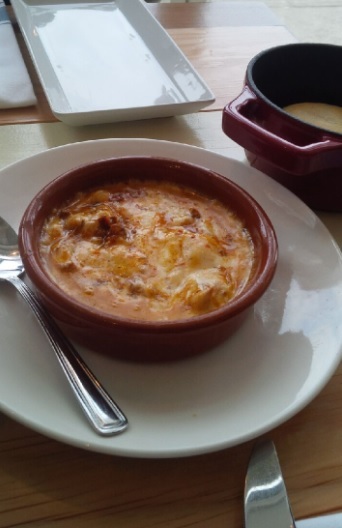 It would take a very close-minded person to find this type of food that unusual (especially in a cosmopolitan city like Montreal) as you do not have to travel all the way to Argentina to get an idea of how their food tastes like. Queso fundido (melting cheese) con Arepa (flatbread) – The cheese of good quality, its effect in mouth enjoyable but I had more exciting queso fundido cooked by Argentinians right here in Montreal (most people would argue that there is a limit to how exciting melting cheese can be, as it’s generally always tasty anyways,and this one I was sampling was tasty, indeed, but you still can suprise your host with this simple dish, as, in this example, it would take some cheese that our local palates are not used to in order to get to the necessary exotical dimension that such dish would benefit from). With the cheese came a refined rendition of the arepa (the arepa –not pictured — was actually the best food item of my meal as its refinement took nothing away from the best aspects of most traditional versions of the arepa, meaning that it tasted as delicious and was executed really well). In my subjective and imperfect assessment, a 7/10 for the queso fundido, 8/10 for the arepa. Pros: I loved the service, the cool and festive / recreative atmosphere, the fact that the meat is grilled to order (the minimum that one should expect from grilling meat at a restaurant, indeed, but which a frightning increasing number of eateries in town seem to have forgotten about…). Cons: (1)A bit pricey for what it is. 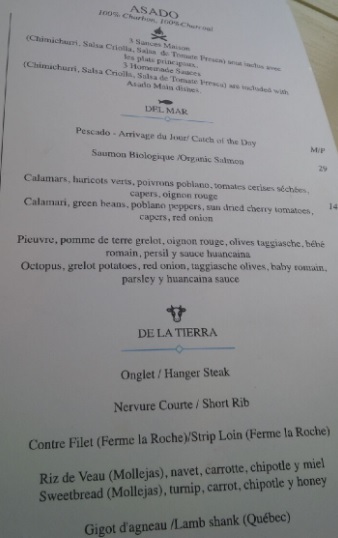 It’s the problem of most restaurants, in town, nowadays…their staff thinks that the top quality ingredients are enough to boost the prices, but hey..we are not in Tokyo or on the Mediterranean coast here!!! We are in Montreal, and however good is your produce, it is never enoughly good to justify its price tag! (2)The absurdity of leaving an inactive tiny grill on my table …cry for me Argentina! (3)quality produce is good, but in the context of ethnic cooking..it is just an excuse to charge more! Overall food rating 6/10 I am a fan of Antonio, but that is no excuse to rave when there is no need to. I know how good his performance can be, but this meal I just had at Lavenderia can’t speak to that. The flaws of this meal are really not hard to understand: ethnic food relies a lot on slow cooking, so why bother with quality produce?? Whether the meat is from Jupiter or planet Mars…guess what…it is slow cooking….therefore not much of a difference in its end result!!! 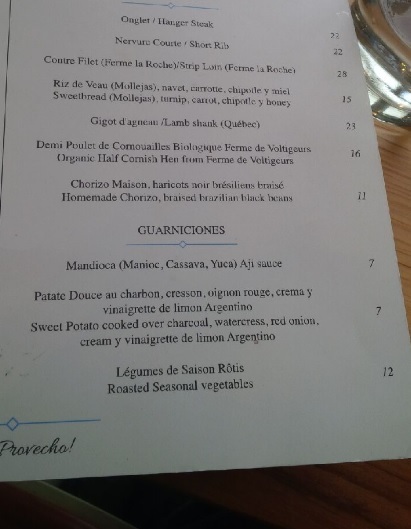 Furthermore, right here in Montreal, the ‘asado’ spirit and flavor…eventhough we lost most of our Argentinian eateries…we are not that unfamiliar with it. So, if you want to take that path,`make the flavor as exciting …if not better…especially if you are going to charge me more for it! What I think days later: Our local food jounalists,my preferred critics included, should travel a bit more outside of the common destinations which food is already familiar to most Westerners (France,Spain, Italy) and/or to foodies (Denmark), or at least get some ethnic food prepared for them by grandmas/grandpas of the country which food they are reviewing. 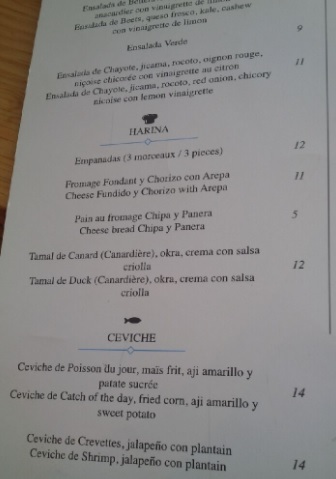 From there, they will be in a better position to assess the revised/contemporary takes of offerings like these (At Lavenderia the cooking is generally a contemporary take on some Latin American food items). 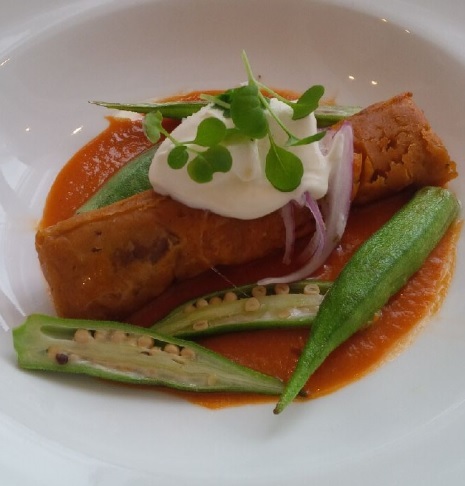 I am not even a critic, I am just sharing my dining experiences with relatives and friends, and yet it takes me years of familiarizing myself with a specific cuisine before I feel comfortable to share my opinions on it. I therefore do expect more diligence from so-called professionals. That said, my perceived flaws of this meal are easy to iron out: the appeal of Argentinian asado grilling is to be found in its bold beefy / meaty aromas, but what I was having was some nicely refined grilling. Rest assured that I am not expecting a Latin American style eatery, in Montreal, to replicate the flavors found in Latin America (in some parts of Argentina, they roast their beasts alive as it’s supposed to enhance the flavor of the meat…obviously,you can`t do that in Canada – so keep such important details in mind before trying to compare what can’t be compared). I am just expecting this kind of food to simply match what’s already possible to find in the western world (In Canada, the US, Europe …. 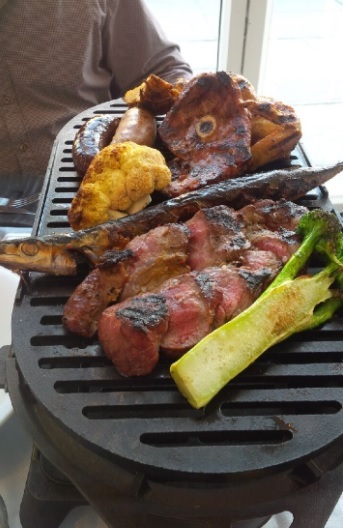 plenty of Argentinian style eateries have been able, for decades, to convey a better sense of the bold beefy / meaty notion associated with Argentinian asado grilling ).